With the earliest English settlement in 1635, Mathews County is rich in historical landmarks–buildings, churches, estates, cemeteries – including a Courthouse, circa 1834, still in use today, centuries-old gravesites, a haunted house, and the Tabernacle, one of the last remaining outdoor pavilions for religious use. Visit the historic Court Green where the Debtors Jail, Sheriff’s Office and County Administration Offices have been in operation since 1795 – although the uses have changed through the years. A monument, erected in 1928 by the Daughters of the American Revolution, stands in front of the courthouse near a memorial honoring Confederate soldiers. 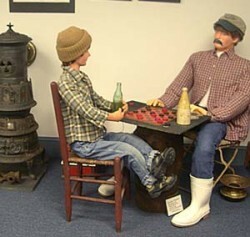 Check in with the Mathews County Historical Society, headquartered in the Tompkins Cottage Museum circa 1820, one of the oldest wooden structures in the historic district, once owned by Christopher Tompkins, a prominent local planter, merchant, sea captain, and ship owner/builder, and the father of Capt. Sally Tompkins, the first woman to be commissioned an officer in the Confederate Army. The third oldest lighthouse on the Bay, New Point Comfort Lighthouse was commissioned in 1804 by Thomas Jefferson. The 55-foot octagonal sandstone lighthouse sits on an island, separated from the mainland by the Hurricane of 1933. View by boat or from the New Point Comfort Preserve Observation Walkway. Fort Nonsense Historical Park is located at the intersection of routes 3 and 14. This Civil war era earthwork was built to prevent Union invasion from the East. The fortification preservation was completed in 2014 through the efforts of the Mathews county Historical society. Trails wind past redans and redoubts and lead to an artillery position. Interpretive signage aids in understanding the significance of the fort. Originally established as a community project, the Gwynn’s Island Museum started out on a small scale. 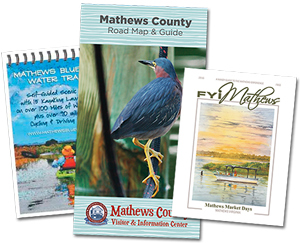 From the beginning it was obvious that there was a great deal of interest in preserving the long and colorful history of Gwynn’s Island and Mathews County. The Museum grew rapidly and by the end of the first year space for the many exhibits and artifacts had become limited, so plans were made to look for a new home on the Island. A 100-year-old building, originally serving as the Odd Fellows Lodge and later the Island’s first public school, was donated in 1992 and restored by dedicated volunteers to what you see today. Owned and operated by the Mathews Maritime Foundation. Established in 1998, the Foundation is a non-profit organization dedicated to preserving and protecting Mathews County’s maritime and cultural heritage through research, conservation, documentation and education. 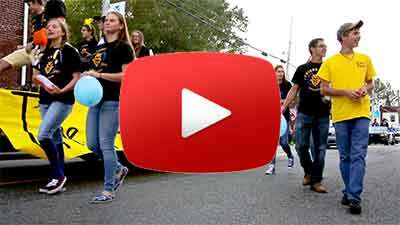 Take an online Historic Marker Tour of the county. Once you click the link notice at the bottom of the page a link to see a map. 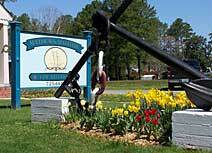 Explore the site for marker tours of our surrounding counties as well. Thirty-Nine Churches – and many more cemeteries, some dating back to the 1600s – grace the landscape of Mathews County. 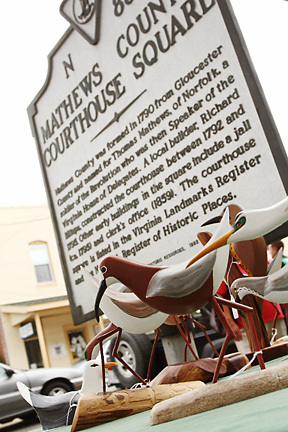 Using the Historical Society’s publication Tombstones of Mathews County as a tour guide, genealogists find a wealth of information when searching for their roots. Details on all this and more at the Mathews Visitor Center. 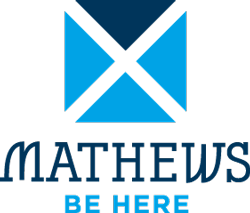 Stop by and see us whenever you visit Mathews. We’ll be glad to help you find your way to historic sites throughout the entire county. Circa 1810-1815 Thomas James Store is located behind Sibley’s Store along Maple Avenue. 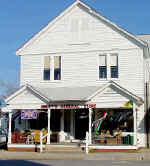 It has the distinction of being one of the best preserved old stores in the south. The building is owned by the Mathews Historical Society and was stabilized, conserved and opened to the public in 2014.